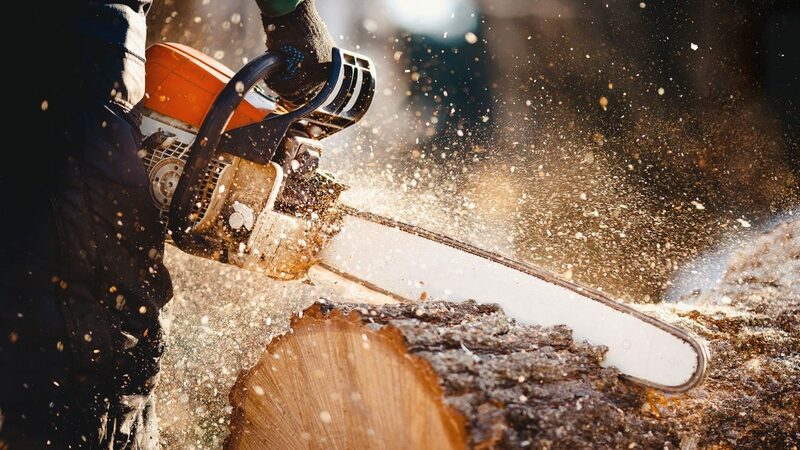 Custom Tree Services offers a wood chipping service that will come to your property and turn your pruning’s into woodchip/mulch that can be used on your gardens or taken away. Wood chipping is a very cost effective way of recycling your pile of brush into mulch, saving you money on Council tip fees, time and the cost of buying mulch from a nursery. A stump grinder is a piece of equipment that removes the tree or palm stump by means of a rotating cutting disk that chips away the wood. Stump grinders can be the size of a lawn mower or as large as truck. Most accomplish their task by means of a high-speed disk with teeth that grind the stump and roots into small chips. We have 2 different size stump grinders one for tight access and the other for larger stumps, not all stumps can be ground due to factors such as: underground services, proximity to other structures, foreign objects in the stump i.e. rocks, bolts, metal etc. It's not uncommon that owners or tenants want to lend a hand before we get started. In the case with mulching green waste, it's best to leave the hard work and sorting to us. As much as we appreciate the assistance, green waste needs to be mulched at the correct end of the branch. Can all trees be chipped? Due to specific issues and conditions deadwood cannot be chipped, and palm trees are also unable to be chipped. Can I keep the mulch? Yes, you can keep the mulch once it has been chipped. If you don’t need to keep the mulch, Custom Tree Services can remove the mulch for you. What needs to be prepared for stump grinding? Before we get started on stump grinding the area needs to be clear and all foreign objects must be removed from around the stump.